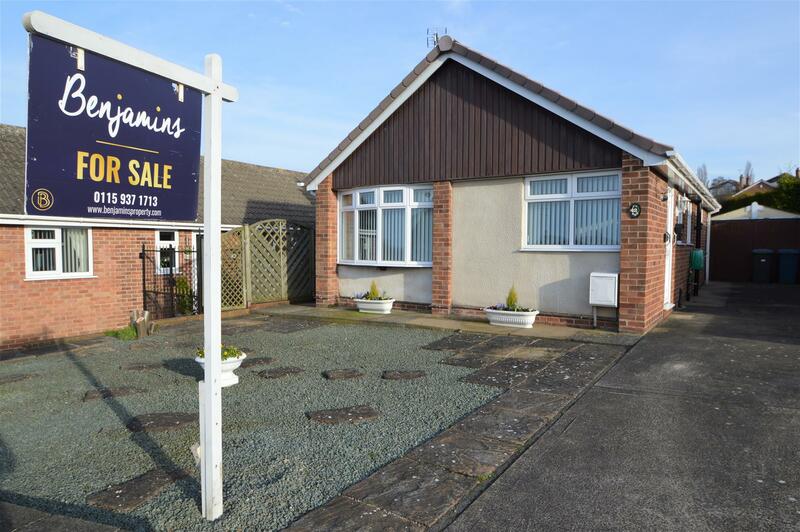 Benjamins are pleased to present this two bedroom detached bungalow for sale on Covert Close, Keyworth. This detached bungalow benefits from having no onward chain, garage and within a cul-de-sac location. The property briefly comprises; kitchen, living room, bathroom, two double bedrooms, conservatory, low maintenance garden, garage, large driveway with parking for several cars. Benefiting from gas central heating and UPVC double glazing. 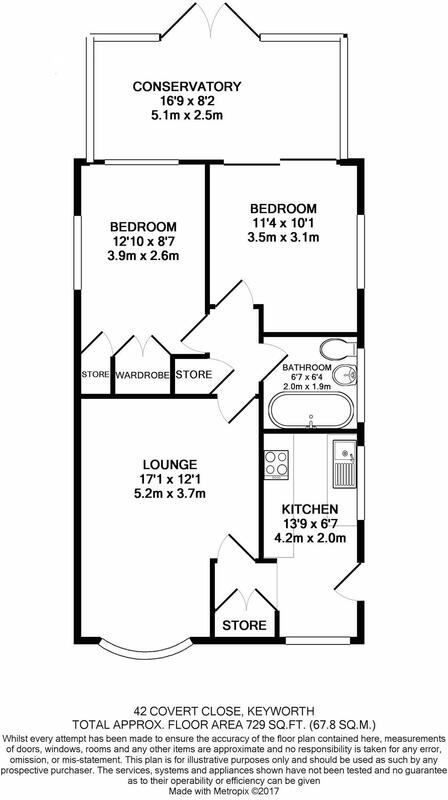 Having a range of wall and base units, roll top work surfaces, stainless steel sink and drainer, part tiled walls, space for washing machine, space for fridge/freezer, gas central heating boiler, Upvc double glazed window to side & front aspect. Stable split door onto driveway. Having Upvc double glazed bay window to front aspect, brick fireplace surround with Gas Fire, carpeted, radiator, centre light fitting, wall lights, serving hatch window to kitchen. With a three piece white suite comprising of a bath with panel sides, wash basin, low flush WC, part tiled walls, Upvc frosted double glazed window to the side of the property. Having Upvc double glazed window to the rear and side of the property, carpeted, fan light fitting, radiator and fitted wardrobes & cupboard storage. Upvc Double Glazed Conservatory with doors out onto the rear garden, radiator, carpeted. Mainly block paved garden with small patio area. Having double timber doors light and power with separate fuse box. Rear double glazed window.